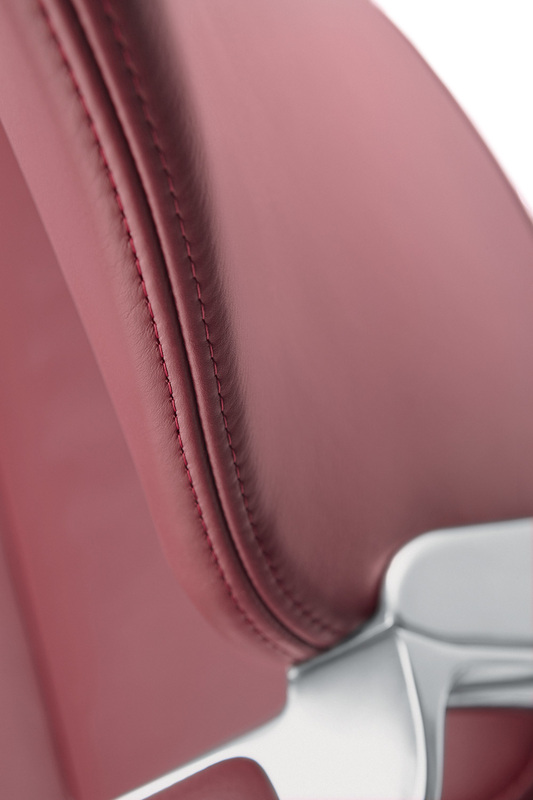 The styling of the slender backrest instantly signifies maximum ergonomic comfort: It recalls the double S-curve of the spine. 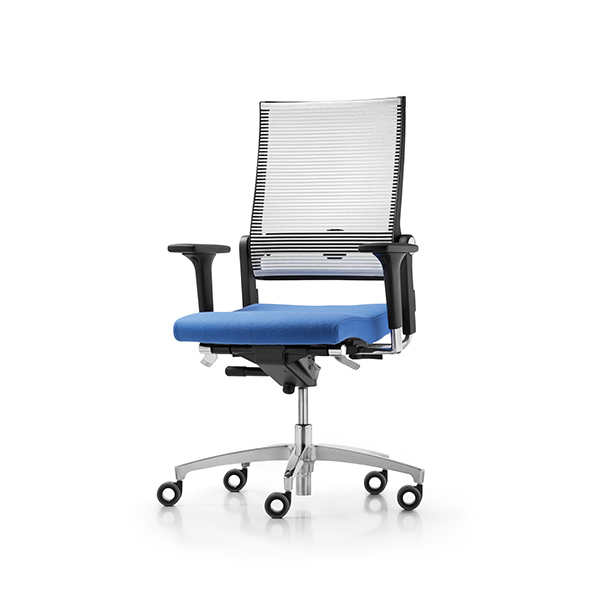 The easily adjustable seat is ideally attuned to the backrest element. 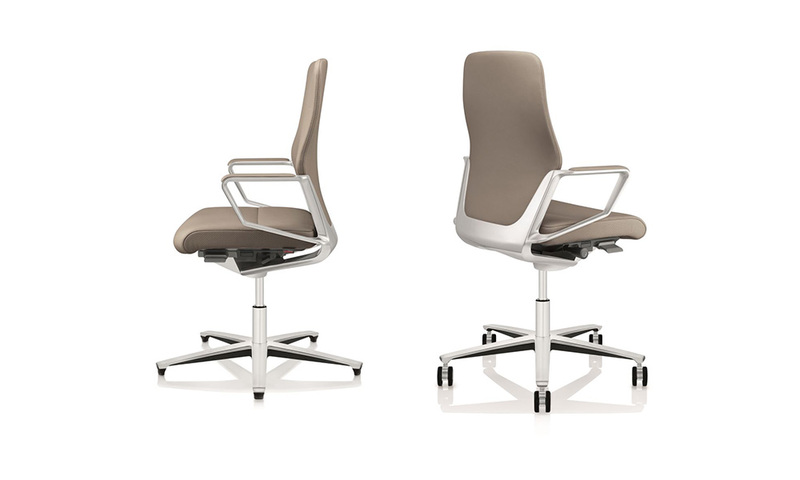 Striking product details, such as elegant seams and refined aluminium components, make Signo an executive chair par excellence. 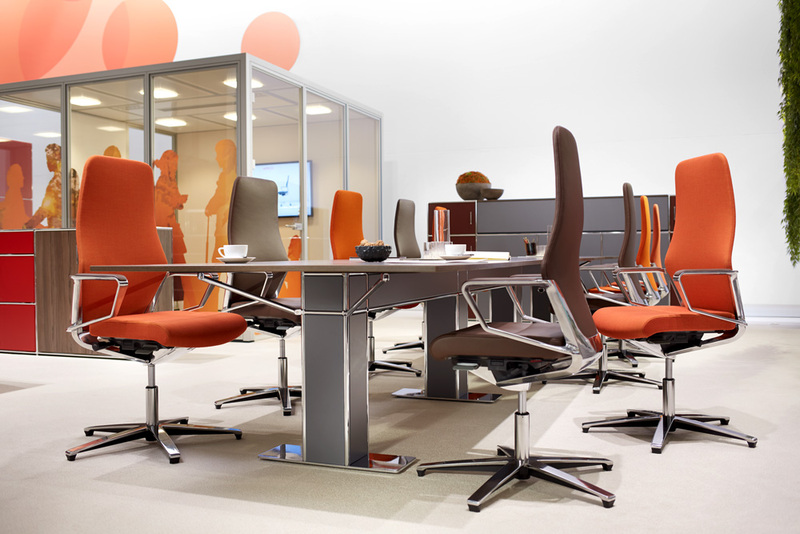 The Signo chairs are available with a low, medium-high and high backrest and on glides or castors. Armrests optional, fixed rings, or multi-functional. Upholstery can be in 14 different fabrics, 3 different types of leather, there are 230+ colours are available. Base with castors or glides. The polished aluminium backrest bar in each case with the matching integrated ring armrests or optionally with 5F multifunctional armrests are striking design features of Signo. With the cover fabrics, you can choose between high-quality textiles from the Basic and Exclusive collection or the two grades of leather from the Züco collection. The version on castors delivers even greater dynamism. To match the 5-pointed star base, the universal designer double swivel castors are equipped with a chrome housing. Syncro-Motion X®: Synchronised mechanism with harmonious movement process (synchronisation ratio 1:2) with ergonomically arranged, easily accessible operating components. Backrest tilt angle can be set in 4 positions.